Innovative? No. The Boeing Max 8 is a design failure that leaves safety in the hands of the end user. “Boeing ramps up automation, innovation as it readies 737MAX,” the headline of The Seattle Times article read. It was February 14, 2017 and the aviation industry was excitedly gearing up for the launch of its now best-selling Boeing 737 Max 8. To handle an increased production rate of 47 jets per month (up from 42), Boeing proudly showed the newspaper the new automated assembly lines in its Renton factory. Vice president and general manager Keith Leverkuhn spoke enthusiastically about the future of aviation technology, mentioning upcoming MAX 9 and possibly MAX 10 models that would seat 199+ passengers. The future was looking very bright. Fast forward to November 8, 2018. The Seattle Times published another article about the jet. This one was titled “Scrutiny of Lion Air crash turns to automated systems that command Boeing 737 pitch”. Yes, less than three months after one of these Max 8 passenger planes was delivered to Indonesia’s Lion Air, it nose-dived at 400 m.p.h. into the waters of the Java Sea. The force at which it slammed into the water was so strong that many of the plane’s metal fittings were reduced to powder. All 189 people on board perished. Investigators haven’t made a conclusion about what factors caused the disaster yet, but they do know that in the days before the crash the plane experienced repeated issues with systems that may have caused it to nose dive. In particular, they pointed out that there’s a sensor that tells the pilots and the computers on board the plane’s “angle of attack”. This is the angle between the plane’s wing and the flow of air that it’s moving through. As a plane climbs, it has a high angle of attack. If it’s too high, the plane stalls. If the sensor is providing a false angle to the pilots and computers – for example, reporting that the nose is too high when it’s not – an automatic system puts the plane’s nose down. It also causes a minimum speed indicator to show that the plane is close to stalling. In this case, the pilot’s control column begins shaking in warning, but airspeed indicators don’t show the same issue. Even if the pilots are able to use all of their bodily strength to correct the error, the failure can keep repeating every 10 seconds. Training is never a solution for bad design. While investigators aren’t 100% sure if this caused the crash, it was enough for Boeing along with the Federal Aviation Administration to issue a safety warning this week to all airlines operating the Max 8. In it, they mention that the Max 8’s new system (which is different than previous 737’s systems) corrects the nose angle automatically to prevent planes from stalling (which is one of the top reasons for plane crashes). This new system can push the nose down for 10 seconds without authorization from the pilot. The warning instructed pilots what to do if there’s an instrument failure, like the one mentioned above, that causes the plane to go into a dive. This is unacceptable not only to pilots, but to Max 8 passengers all over the globe. End users should never be responsible for correcting bad design – especially when the bad design can lead to death. Yes, pilots have been warned. And yes, they have been “trained” on what to do in case the plane nose dives. But keep in mind that it can take more than 16,000 hours of experience with anything to become an expert or an expert responder with it. 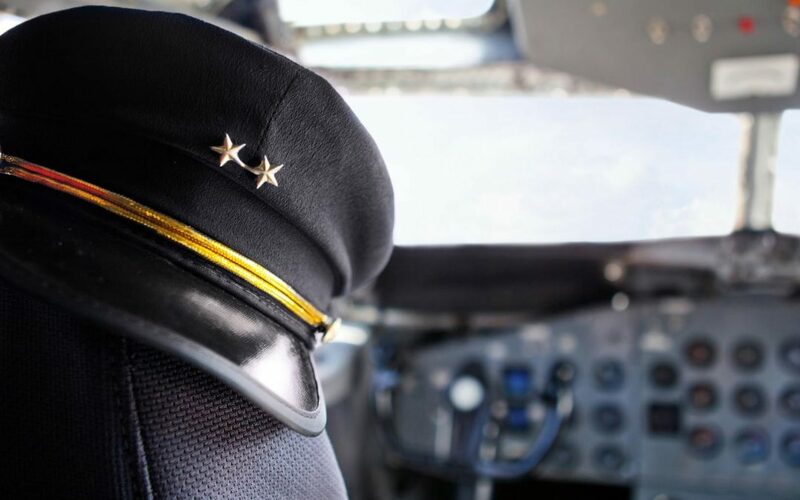 If the event – like a nose dive – is something that almost never happens or happens very infrequently during a pilot’s career, to expect that they will react the way they are trained is completely unreasonable. If it’s not intuitive regarding the actions needed to be taken to recover during an incident like a nose dive, typically no amount of training will help. And in times of great stress such as a life or death situations, innate behavior has greater odds of taking over or behavior dictated by a poor design. The only thing that can make it easier to deal with obscure failures is good design. Without it, the consequences could be catastrophic. In Lion Air Flight 610’s case, the consequences were just that. Human Centered Design can drive the correct action by preventing the operator from taking the wrong action through effective design controls and conventions. Innovation isn’t about technology. It’s about adding value to something. The Max 8, which has been advertised by Boeing to bring “the latest technology to the most popular jet aircraft of all time”, is a design failure in the sense that it introduces a serious safety risk to users that wasn’t present in previous designs. Even if the sensor issue wasn’t the cause of the crash, the fact remains that pilots are not responsible for making up for a design that doesn’t work and is extremely dangerous. Just because – according to Boeing’s website – it has “modern sculpted sidewalls and window reveals, LED lighting that enhances the sense of spaciousness and larger pivoting overhead storage bins” does not make it innovative. To be truly innovative, the Max 8 would have been designed based on an understanding of its end user – the pilot – and how to design out the potential for catastrophic failures. For the 189 people who died and their families, it is an awful tragedy that had the potential to have been avoided through better design measures and safeguards. Here at Sophic Synergistics, our experts specialize in user experience, focusing on human performance, ergonomics, human computer interface design, physiology and visual perception. No matter what area of the aviation industry your company serves, we can help you develop tools and methods that will decrease human error and increase safety and performance. Let’s get started today.